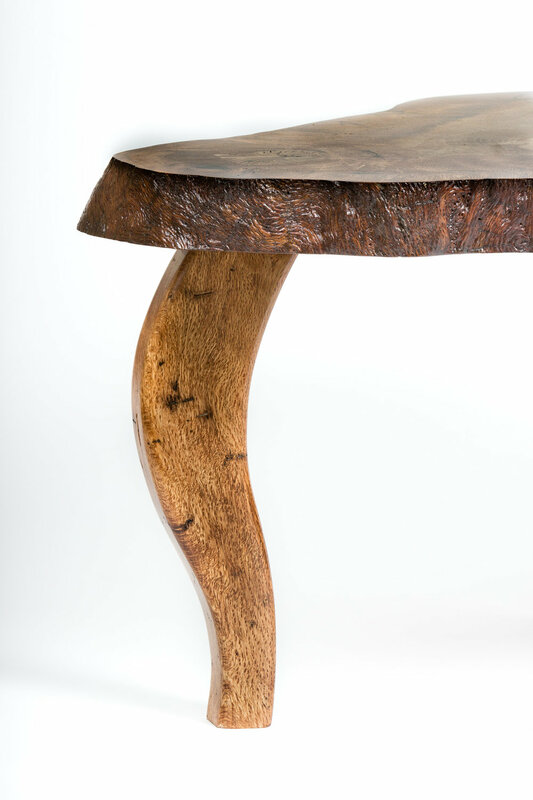 Handmade through mortise and tenon live edge coffee table. 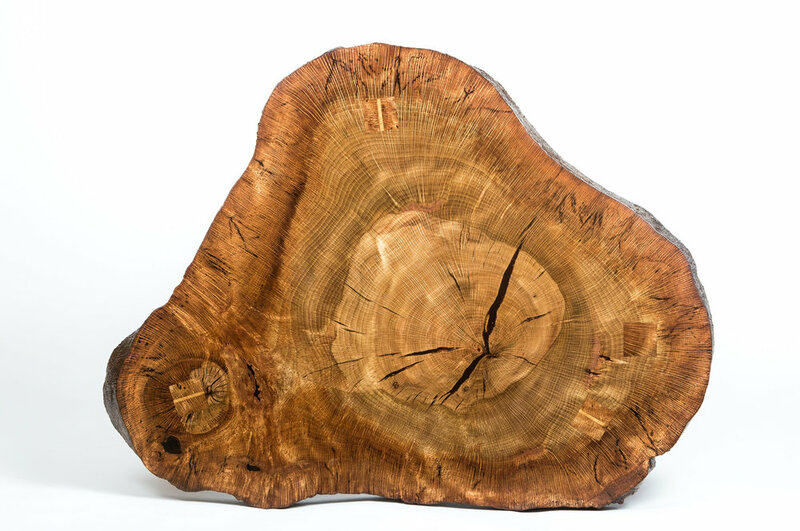 Made from a horizontal slice of a tree, commonly referred to as a cookie. 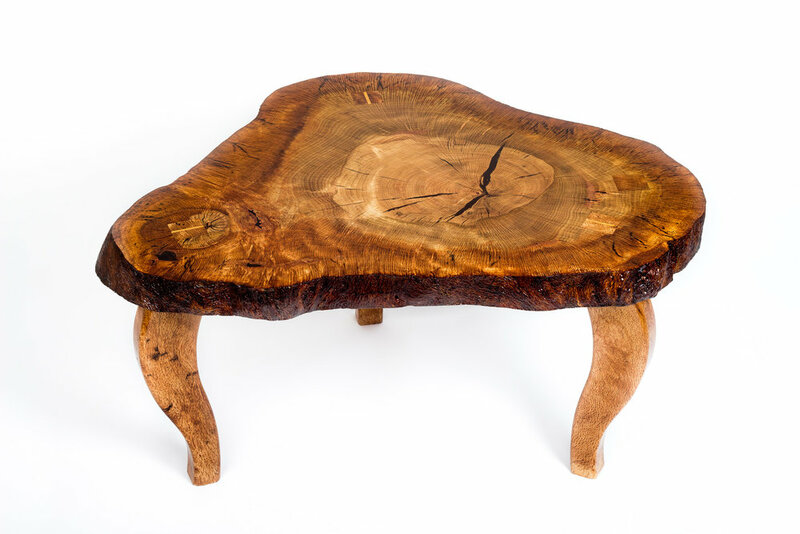 Coffee table shown is made from Live Oak that is 120+ years old. Cracks have been filled with epoxy for stabilization. 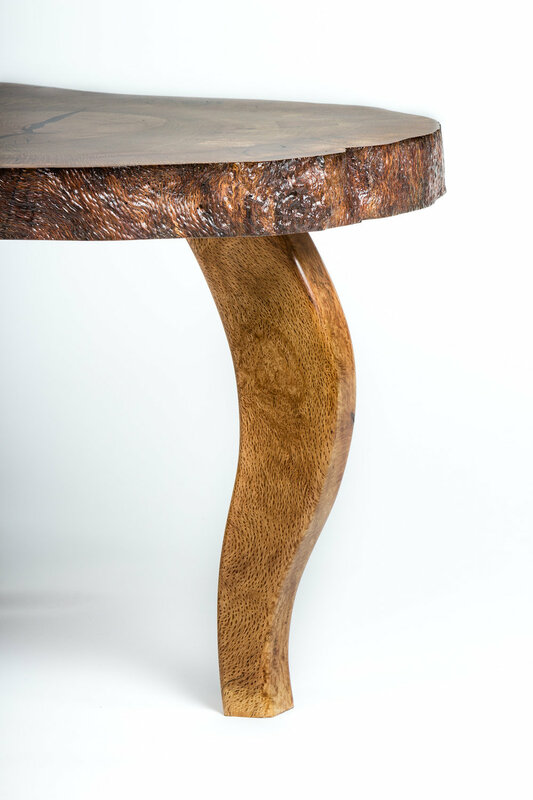 The table top is supported by three legs joined through the top by wedged mortise and tenons. Tenon wedges shown are from Ash. Square or round through tenons available. Square tenons showed. I have a few more of these slabs left to be built, turn around time is 4-5 weeks for construction and finishing..